Continuing the theme of under-utilized characters I now turn my attention to the Looney Tunes. In the short film game the Looney Tunes are without question my favorite cadre of characters. I love some of the smaller personages especially, however, they are fewer and further between than other groups. The Looney Tunes while they do have depth in talent are buoyed mostly by their titanic personalities. 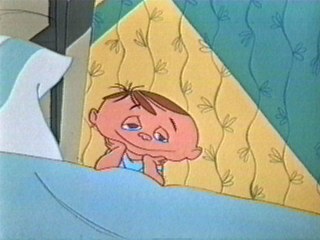 Having said that the two Ralph Phillips shorts that Chuck Jones directed have always been favorites of mine. They are lyrical and whimsical celebrations of childhood imagination. Of all the characters in the Warner canon he is who I’d most want to see more of owing mostly to the fact that he has only these appearances. Establishing him as a dreamer makes him suited for shorts or a TV series and he could be easily incorporated into the Looney Tunes comic published by DC Comics, I’m uncertain if he ever has been. So here are the two shorts, the first of which was nominated for an Academy Award.